“If I am elected, it means the country has accepted my identity as a homosexual,” Hong Seok-cheon says. 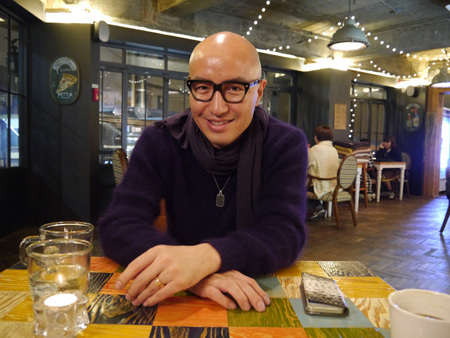 Korea’s first gay celebrity, Hong Seok-cheon, 45, hopes to become a leader of the Yongsan District Office soon with the aim of promoting cultural spaces for young artists and small businesses, while providing welfare for sexual minorities. Hong said he is ready to become an administrator. After living in Yongsan for 10 years, he believes he can bring changes. But, most importantly, he has a special reason to become the district’s leader. 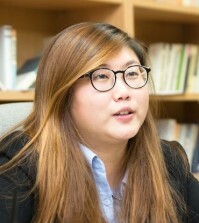 Hong believes Yongsan needs an open-minded leader, because the district is very conservative, although it has liberal elements. The fashion streets of Itaewon in Yongsan generally close between 7 p.m. and 9 p.m. Hong plans to set up a night market that will change Itaewon’s “copycat” image — gained because of the counterfeit goods sold there. He believes young artists, with no money but a dream, can turn the streets into a distinctive market that attracts people and foreign visitors. “My artistic strength and business mind are my assets as a successful candidate for Yongsan District chief,” he said. Whether he wants it or not, Hong has become a role model for the gay community. 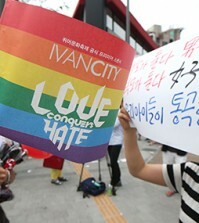 His coming-out in 2000 has given courage to many young people in Korea, a country where homosexuality remains a taboo. He tried to close the gap between himself and the public by participating in talk shows, but he was eventually banned from major roles on television. Still, Hong stayed positive. He focused on new roles – such as that of an entrepreneur. Now, he owns more restaurants than anybody in Itaewon, one of the trendiest towns in Seoul. “People are starting to recognize my effort, especially my achievement in the restaurant business,” said Hong. “I think Korea tends to be more generous towards successful people. “Young people started to admire me for living a cool life and old people found my know-how in business interesting,” said Hong. When asked to give his opinion on Seoul Mayor Park Won-soon changing his words over legalizing homosexual marriage in Korea, Hong said he could understand the major’s stance. “If Park had said ‘I hate gay people,’ then it’s a different story. But leaving no comment means he is in agreement up to certain point. He is an honest and flexible man,” said Hong.